Québec City Jean Lesage International Airport has an ambition to hit two million passengers per year by 2020. 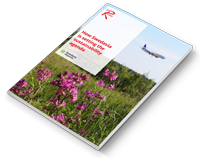 The number of passengers traveling through Québec City Jean Lesage International Airport (YQB) increased 3.4 percent to 1.67 million in 2017, compared with the previous year, despite repairs to the main runway limiting access for large aircraft from May to August. “With an average of more than 1,000 extra passengers a week, we’re very happy with this growth, which shows yet again that people in the greater Québec City area are choosing YQB for their air travel,” said Gaëtan Gagné, president and chief executive of Québec City Jean Lesage International Airport. 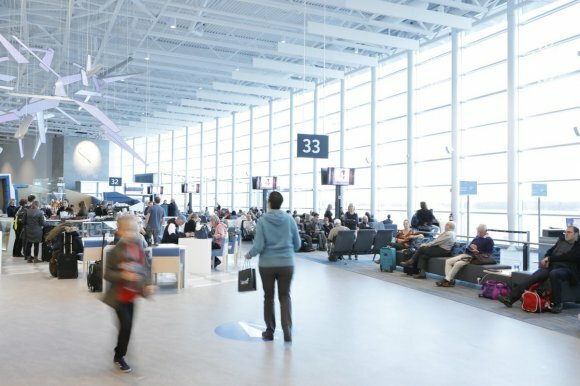 Aéroport de Québec inc (AQi), the managing organisation of YQB, is currently undertaking a highly ambitious redevelopment scheme set to pave the way for future growth. The YQB 2018 project represents a $277m investment, involving a dozen construction and IT projects all running at the same time, including a refurbishment of the airport's runways. The first phase of work – the construction of the new terminal – has now been completed and phase two, to improve the layout of the existing terminal, is underway. Overall the plans will help Quebec to achieve its ambition of growing passenger numbers to two million per year by 2020. Quebec will host Routes Americas in 2019, which will be held during the largest winter festival in the world, Carnaval de Québec. An ice palace, ice sculptures, night parades and a canoe race are features of the celebration that has run every year since 1955. Winter in Quebec is also the time to see the Hôtel de Glace, North America’s only ice hotel which has been visited by more than one million people since it opened in 2001.